Google Wave is amazing but it’s not really easy to use for a beginner. I had tough time figuring out what can be done with it. But, once you get used to it, you can manage it pretty well. 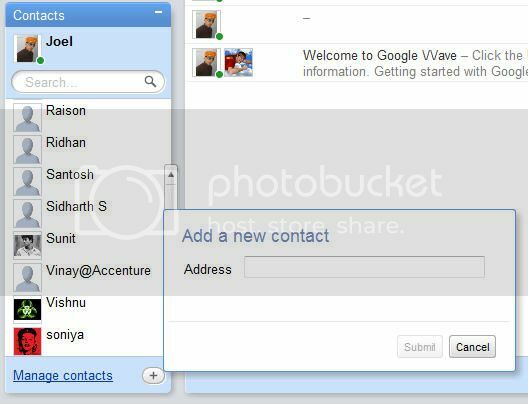 Well, here are 10 essential Google Wave Extensions, without them your Wave experience is incomplete. How to Add Google Wave Extensions? On the left hand side bottom corner in the Contacts box, click on the “+” sign and enter the email address. Dr Weather, as the name sounds shows you weather updates of a particular city. To use Dr Weather, add the following address. You can easily shorten links in Wave by using- bit.ly. If you deal in stock market business then here’s an extension of your interest- Stocky. Using this you can display the present value of each stock in a wave. I’m pretty sure that all of you are familiar with Wikipedia. Well, who is not? After all, Wikipedia is a biggest encyclopedia on the internet. With Wikify you can find difficult terms and phrases on Wikipedia. This helps you to add HTML into Google Wave. A great tool for webmasters and web designers. Almost everyone uses Twitter these days. You would be happy to integrate Twitter with Google Wave. Tweety allows you to update and track your Twitter timeline from a single wave. Using Polly you can create polls in a wave. Calcbot is basically a calculator that helps you to calculate simple problems. If you type a simple problem which has the answer as ‘—‘. It replaces ‘—‘ with the correct answer. Pretty handy tool! Google maps are really handy at times, especially while travelling. Google Wave has a built in Map extension so you don’t need to look for another one. You can enable maps from Google Wave’s extension gallery. Amazon is one of the best online stores at present. You can grab really good deals out there. Well, its Christmas time now, you may consider searching for some good stuffs on Amazon to gift to your relatives and pals. AmazonBot is an addon which will help you to check out for some good deals on Amazon.com.